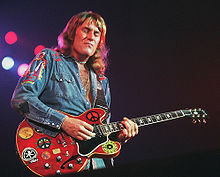 This past weekend, Radio Ronin Shortwave broadcast a tribute to guitarist Alvin Lee, who passed away on March 6th. As always, Ronin's AM signal came in loud and clear on 6.925 MHz, starting around 00:15 UTC (March 11th, 2013). Vatican Radio: breaking news broken?